Colonial Baptist Church was initially established on October 6, 1994 as Bible Baptist Church by Pastor Mike Files and a handfull of believers. The first services were held in a storefront building located on the northeast side of Rogers, Arkansas. Soon the fellowship found itself outgrowing the small space and a building program was established. The search for a suitable building property was initiated and a plot of land was purchased just around the corner from the storefront property along Dixieland Road, north of Highway 102. The church held its first services in the new building and dedicated it to the Lord for His service. Pastor Files returned to Jacksonville, Arkansas, to pastor his home church and Pastor David James became the second pastor of our church. It was only a short time afterwards when tragedy struck. Fire completely destroyed the original building, on March 23, 1997. No one was physically harmed but there was a total loss of the building and contents. With spirits undaunted; plans were quickly underway to setup a large tent for celebration of Easter services the following week. A record number were in attendance that day. God blessed amidst the circumstances because of the faithfulness of his people. A new building was planned and the construction was quickly begun. In the winter of 1997 the first service was held in the newly rebuilt building. It was an exciting day with the expectancy of seeing what God was about to do with Bible Baptist Church. In 2004, construction was completed on an educational building located behind the main auditorium facility. Shortly after its completion, Claud Slate, Sr. was called to be pastor of Bible Baptist Church. 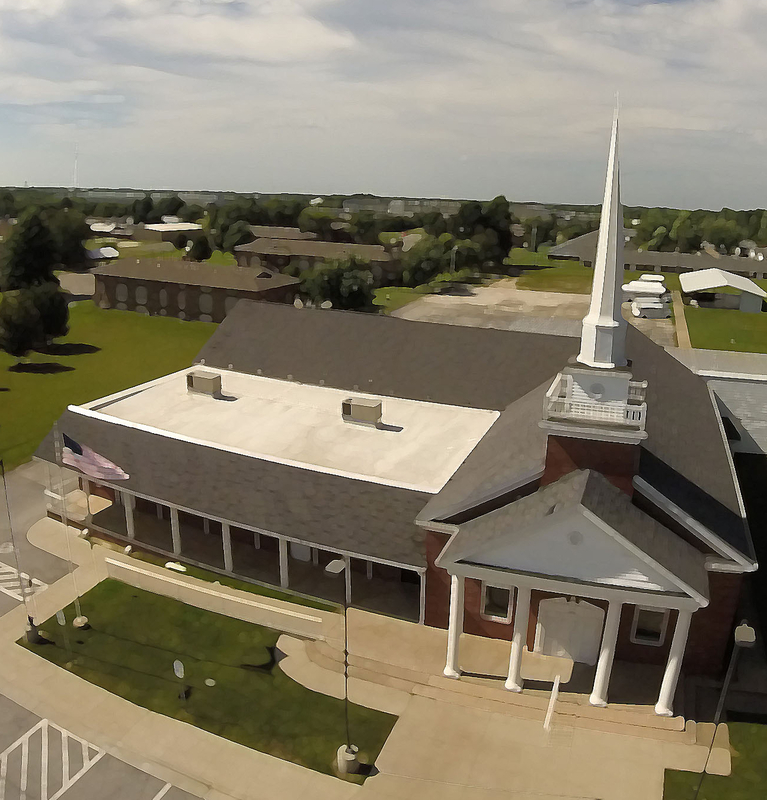 Under his leadership, our church purchased the facilities which formerly housed the First Church of the Nazarene. These facilities, located in a more central part of Rogers, have allowed for continued growth. At the same time that we relocated, we also changed our church name to Colonial Baptist Church. Colonial Baptist Church carries out the Great Commission through its strong Missions emphasis and well-organized outreach programs reaching our community with the gospel of Jesus Christ. We would extend to you a hearty invitation to come and visit.